All on 4 (or similar) Permanent Teeth in Just one Day! 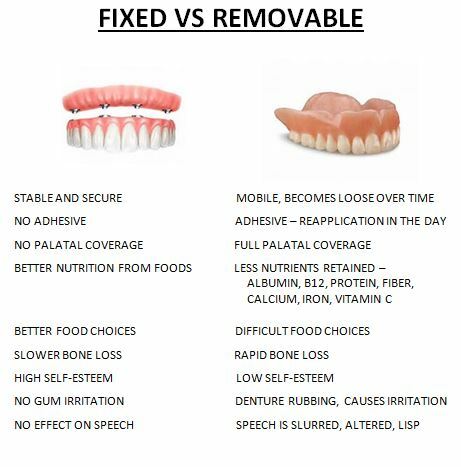 Don’t settle for removable teeth!! Get fixed teeth! Fixed Implant Supported Dental Hybrid Bridge was developed as a way to best restore the full arches of the upper and lower jaws by. This technique provides our patients with a non-removable dental arch that is secured by as little as four dental implants – all on the same day. 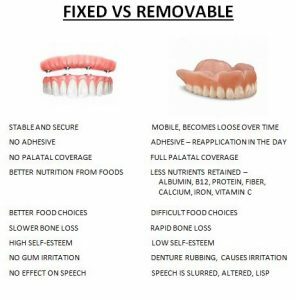 This is the perfect option for patients who have or need dentures, or need complete restorations on the upper or lower teeth. The beauty of this new procedure is the sheer convenience. Special implants were developed for this treatment allowing for the immediate fitting of replacement teeth to the abutments. This means that with only four implants, patients can leave their dental office with a full set of new replacement teeth within only one appointment! No bone grafts necessary! Contact us below today to schedule an appointment with our office for a complimentary consultation.